Slaatta Skisenter – Geilo Skiskole care about your data privacy and it is important for us to give you information about how we store and use your personal data. We take GDPR seriously and want to be open and honest. In our database, we will take care of the following information; name, date of birth, address, phone number and e-mail address. All information we provide from you is only used to optimize your customer experience with us and the information is not shared with outside parties. According to GDPR, you have the right to access and, or remove the information we have stored on you. This privacy data protection declaration describes how we, Slaatta Skisenter AS collect and use personal information when you visit our web site, a customer of ours or in any way have been in contact with us. Slaatta Skisenter AS is responsible for the processing of personal data on this website. The privacy data protection declaration does not apply to third party processing of personal data. Third parties we cooperate with have their own privacy statements and practices that they themselves are responsible for. When ordering a product or service at Slaatta Skisenter AS / Geilo Ski School, you register as a customer. You enter information such as name, address, e-mail address and phone number. We store and use your information so that we can fulfill our obligations to you as a customer. We treat your personal information with the greatest care, in accordance with the General Data Protection Regulation (GDPR). All information we provide from you is only used to optimize your customer experience with us and the information is not shared with outside parties. According to GDPR, you have the right to access and, or remove the information we have stored on you. When you visit our web sites, we and our subcontractor (Idium AS) collect and store information about user behavior. This includes information about your IP address, browser, location, network provider, operating system, time spent on the page, which website you are from, and web activity on our web pages. The purpose of this treatment of your activities is to optimize our web site to our visitors as well as conduct trends and patterns analysis using the web page. If you contact us for example by filling out a contact form, the collected information may be used to contact you, as well as sending you information that is relevant. In our contact form; name, e-mail address, telephone number and any other information you provide will be obtained. The legal basis for newsletters and online marketing is whether there is an existing customer relationship and you have not reserved yourself to receive our inquiries. 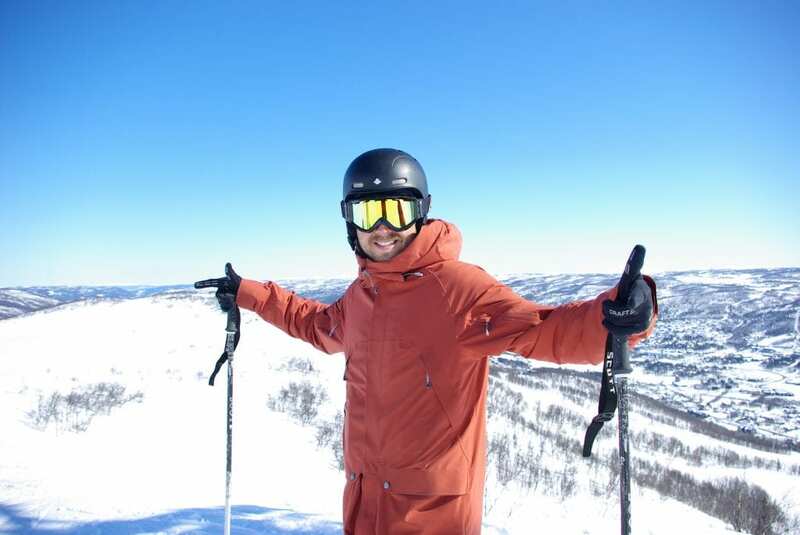 As a customer at Slaatta Skisenter AS / Geilo Ski School you will receive our newsletters. We will send newsletters 5-8 times in one year. Here you can receive good deals or information regarding ski pass, ski school, skiing or event associated with Geilo. You can revoke your consent at any time by sending an e-mail directly to booking@slaattaskisenter.no or follow the link at the bottom of each newsletter. Slaatta Skisenter AS uses subcontractors (data processing) for collection, storage and information management. These subcontractors process data on our behalf according to the data processor and our instructions, and in accordance with Norwegian and European privacy laws. In cases where we have approval from you, we will be able to share personal information with partners and other third parties for marketing purposes. Should an event occur where we need your explicit consent, we will be able to contact you using the contact information we have received from you. • Right of access – You are entitled to know what personal information we have registered about you and you have the rights to receive a copy of your personal information. • Right to rectification – You are entitled to get incorrect, incomplete or irrelevant information about you corrected or removed. • Right to delete – You may with certain exceptions, have the right to delete personal information we have stored about you. • Right to withdraw consent – You are entitled to recall a consent you have given to us that we have obtained for processing personal information that requires consent. You are also entitled at any time to object to the processing of personal data for direct marketing purposes. • Right to data portability – You are entitled to obtain the personal information you have provided to us in a data readable format, and to hand it over to another service provider. • Right to complain – You are entitled to complain about our processing of personal data to the Data Inspectorate. These rights may be limited in certain situations, such as if we are required to process personal information by law. We may without notice, change or update this privacy data protection declaration. The latest version will be available at this address. In case of significant changes, we will post a message on the site and/ or inform you in other channels.